Do you know that what is kidney? 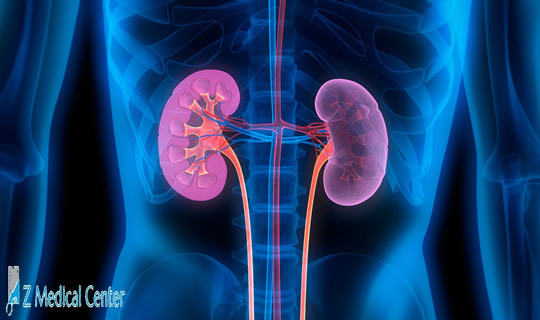 Kidney is the two organs of our body which are located in the middle of our back, slightly above the waist. These two organs cleans our blood of the body, tries to level or control the quantity of salt and minerals such as phosphorus, potassium and sodium according to the need of our body and helps to keep blood pressure in control. Now we will tell you that what is chronic kidney disease? It is a process in which kidney slow down its function time by time and the major problem of the disease is that kidney stops to take out the wastes of the body which produced after any muscle activity or digestion or exposure due to medication and excess of the water from the body. 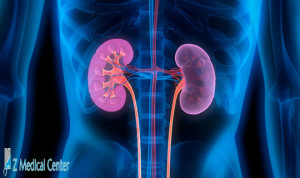 It is a slow process in which you know about your damaged kidney in month or months or years. Disorder of Immune system such as long-term viral illness, HIV/AIDS, or system of lupus. Damage present from the time of birth or in the womb of mother but it can be repaired by surgery. Taking drugs or toxins such as usage of some medications like ibuprofen or naproxen etc. for long term. Urine flowing backward or blockage of urine due to enlarged prostate. 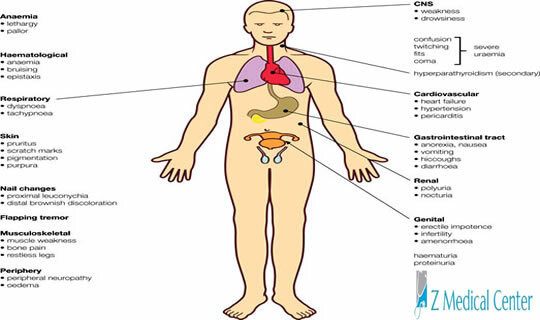 There are some symptoms but they are same as many other diseases and illnesses have same symptoms. Losing your weight without try to loss it. Having blockage of urine or flowing backward. Cramps in muscles of leg. You can now about CKD due to some test whether you are running from CKD or not and two tests are the main test to find out whether there is CKD in any person or not. Avoid eating too much salt or diets in which too much potassium included. Try to keep in control your blood sugar. Try to control your diabetes and regularly checks your blood pressure and regularly asks for the test mentioned above in the section of “Treatment”.